Can 1 Game Change MSU’s Program? Entering year 5 of the Dan Mullen era one of the topics that brings a lot of debate is if MSU has a “signature win” in that time frame. Personally, I think the win at the Swamp or the 2009 Egg Bowl qualifies. I can also see the other side of the argument where fans want that big win to hang their hat on. Many fans want a Bama, LSU, or some top 10 victory to stake this claim. The question becomes how much can 1 game change a program? I would absolutely agree that 1 game can have a huge effect on the program but unfortunately many times for MSU its coming from the negative end of the spectrum. 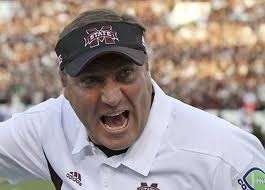 I don’t think anyone can deny that the Sly Croom’s 2008 Egg Bowl drubbing changed the course of the program. As a fanbase and institution, MSU decided that type of performance was unacceptable and it fueled change. I don’t want to harp on the negative side of things. I want to shift toward how much positive could come from a “signature win” this year? Mullen and staff have achieved a steady building process in the brutal SEC west and has guided MSU to 3 straight bowls. Last years finish wasn’t what we hoped for but let’s not kid ourselves about how big of an achievement the bowl streak is with our history and the current climate of the SEC. Don’t forget about 2 straight top 25 ranked recruiting classes. Look at our 2nd string and tell me we haven’t seen progress. As of now, Mullen has raised the floor of MSU’s success without question. Can 1 game propel the Bulldogs to the next level of success? Can 1 game have that much of an effect? I think it can and our 2013 schedule offers ample opportunity for this to happen. To be clear, another 7 win season is still inching toward the ultimate goal but an 8 or 9 win season with that big win should lead to more fan excitement, more monetary giving, better assistant salaries, and a recruiting bump. To put it simply, that 1 win should have an across the board effect. Lets look at some games that I think could be these program changers and briefly discuss why. vs Oklahoma State- At first glance I think many fans might disagree that this could be a program changer but I don’t think they are thinking big picture. It’s not an SEC win but has huge ramifications. This is a kickoff game that will get huge national exposure. Many will have OSU picked to win the Big 12 and MSU will be underdogs. A win here would get a ton of national run because everyone will see it: fans, commentators, coaches, and recruits. It would be like a national announcement that MSU is for real. vs LSU- This one is huge for MSU as a program because they own us. A win here would clearly state that MSU is here to compete with the big dogs of the SEC West. With MSU picking up recruiting efforts in Louisiana and Texas of late, this would be a great feather in the cap to sell to recruits and their families. It would say they aren’t picking a lesser school but a direct competitor. at Texas A&M- A huge road match against a team who will get a ton of pub due to their star QB Johnny Manziel. Not only is it big from a press standpoint but they have quickly asserted themselves as an SEC West competitor and it would prove that we are a threat. With the new SEC footprint in Texas, any win in the Lone-star State helps solidify your brand in the mind of recruits who want to now play in the SEC. MSU has a rare opportunity to get up to 2 wins in Texas this year and the importance of that cannot be downplayed. at South Carolina- Steve Spurrier has raised the prestige in Columbia exponentially since his arrival. Many have them to win the East and challenge Bama. Road games are great opportunities to show your program is ready for the big time and this game affords that opportunity. Jadaveon Clowney will draw a ton of pub and a victory here would run non stop on Sports Center. It would show that MSU can play with anyone, anywhere in the SEC. vs Alabama– This one is obvious because Nick Saban and the Crimson Tide are the kings of college football. They get the most pub week in and week out. Beating them would be monumental for the program. This is the type of win that could boost all the before mentioned efforts and catapult you to the next level. With Alabama’s success of late, a win this year would be on the same level as the 1980 victory that we still revel in 33 years later.